Futility is something that we see in film, but most of the time, it's because a protagonist is thrown impossible obstacle after the other. Most of the time these odds are created by an evil entity that has super powers or supernatural abilities, but what's worse, is when a movie is bleak and helpless thanks to the way that a certain society or culture is structured. The later is the mood that prevails over director Kammal KM's I.D. Charu, a recent Mumbai transplant, is having her apartment painted while the worker collapses on the job. What ensues is a struggle to find this man's identity, which proves to be much more difficult than expected. Charu's quest to find this man's name and get him to the hospital is riddled with obstacles of all sorts. Her neighbors don't want to help, the security guard in her apartment refuses to leave the building and take the man to the hospital, and the hospitals are insistent in having her pay for the man. I.D. shows two sides of a situation. 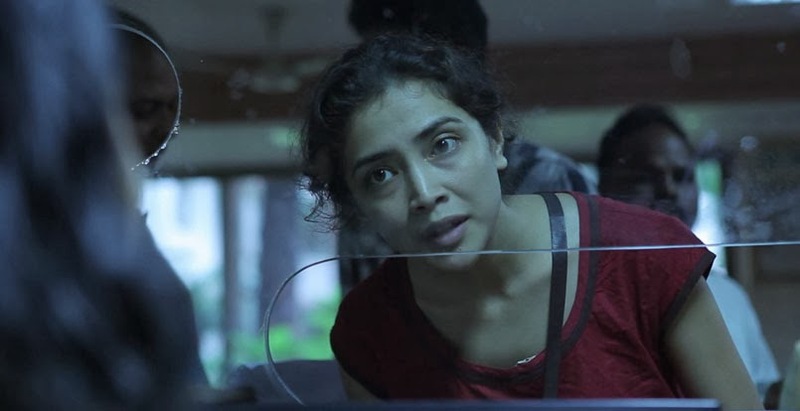 On one hand, it shows that for better or for worse, Charu is determined as hell to find out the identity of the stranger, and on the other hand, it shows just how difficult Mumbai and Indian society in general can be. It's unclear what the director is trying to say with this movie. Is it a commentary on the broken aspects of Indian society? Is it the apathy and selfishness of the general public? Or is the tragedy of a life so empty that it's hard to even find out their identity? The movie does have a tendency of feeling episodic. Charu goes from dealing one problem to the other with little transition. It's not particularly enjoyable to experience not because its a bad movie, but rather because it just shines some unpleasant truths about people, humanity, and just seeing how cold people can be at someone trying to take a responsibility that wasn't even hers in the first place. It's interesting to know that the movie is partially improvised and gives the movie a great sense of realism when it comes to the secondary characters. I.D. is an interesting movie, and though it's not a fun watch, but it is an interesting study in a social commentary of how people can be when asked to go beyond their own interests.